Google’s main source of revenue is through advertisements and that’s why you see many ads appearing on the free services available by the company. 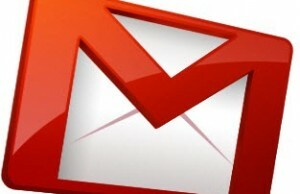 For example, Gmail (a free email service) shows advertisements around the inbox as well as the individual emails. Mostly the ads appear at non disturbing areas like extreme right side or at the bottom of the email body but one ad space is more likely to annoy you is at the top of the email. Sometimes we need to get back to the inbox from an opened email or need to mark the email as spam, we unintentionally click on the ad running just beside these options. Now if you want to disable or remove these ads from Gmail, here are few options available to achieve the same. Gmail users can remove the top ad space from settings panel. Go to the Gmail settings page ==> Web Clips tab ==> Uncheck the box “Show my web clips above the inbox”. This option will remove the ads appearing above the opened emails as well as the inbox. This feature will disable the top ad space on all browsers for your account as it is not browser dependent. Well those who are paying Google for the services can hide or remove the ads completely from Gmail and other services. To do that, login to Google App Admin Console. Go to the Company Profile page ==> Profile page ==> Check the box “Hide all ads in Google Apps for ABC Company” for the field “Advertisement Option”. Once checked, the Google App services including email service hosted on Google will stop showing any kind of advertisement. You can always install extensions to disable Google ads on all websites including Gmail or on selected sites. With this extension, you can hide or avoid loading these ads on Firefox and Chrome browsers. But again if you login to your Gmail account on some other computer, the ads will also be visible over there. I hope these options will help you get rid of the annoying (sometimes) ads inside the Gmail inbox and other services.